I believe responsible justice transforms lives and communities. My legal career reflects my commitment to that belief. My successful argument before the Washington State Court of Appeals to overturn a juvenile case that was first charged as a probation violation, then later also as a new crime, refined how and when a new violation is charged as a probation violation or as a new crime in Juvenile Court. I was also instrumental in eliminating the practice of shackling children in the courtroom. In addition, I have negotiated felony murder cases and represented clients in jury and bench trials as well as appeals. My consensus-building style is one of my strongest suits. I will work cooperatively with District Court II to ensure the responsible, cost-effective administration of justice. Justice administered responsibly transforms the lives of those who come before the court, and the outcome enriches our community. 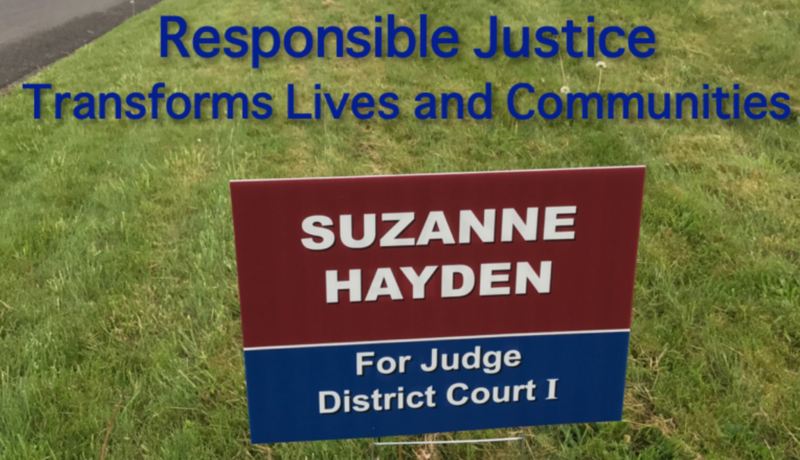 If elected, I will dedicate myself to faithfully administering responsible justice. Please check out Suzanne’s video about the pro tem budget. Make sure to check in frequently to learn more about her platform!